Awakening to Self-Knowledge is one of three books by this author, the others are Living Beyond Fear and The Illumined Understanding. The contents of these books point as directly as possible to the true nature of our own being as identical with the universal reality in all. On the path to realisation of this identity we first need an understanding and conviction of the truth in principle. This is called indirect knowledge. To gain it requires reflection, meditation and an attitude of goodwill to all. Then the next step is to approach the direct experience of reality, that is, direct knowledge. For this the mind has to be stilled, purified, dedicated and ultimately transcended. There is an important difference between indirect and direct knowledge, yet they are both forms of knowledge. These writings provide concentrated and uncompromising statements that can guide us towards indirect knowledge, and then onward to the inner discovery. They help us to make the non-dual teachings the foundation of our outlook, and then to perceive the deeper reality underlying all equally. The writings remind us that all the tasks that life presents to us are to be undertaken diligently. And that life, history, art and culture can teach us many lessons. Yet they are all transient, and the abiding Reality can only be approached through authentic teachings that point directly to it. Various chapters show that such teachings are to be found at the heart of different wisdom traditions. Essential practices on the path are reflection on and affirmation of the non-dual principles, in our thoughts and actions. The writings of this author nourish and guide our efforts to do so. 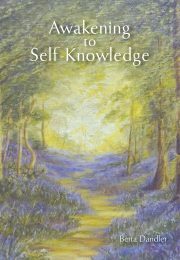 If we are regularly practising meditation and making the inner enquiry a priority, Awakening to Self-Knowledge and Living Beyond Fear are ideal supplementary reading.